HERAT -- Afghans are outraged by comments made by Sher Mohammad Abbas Stanekzai, the former director of the Taliban's political office in Qatar, suggesting that the Afghan National Army (ANA) could be dissolved as part of a peace agreement. Stanekzai made the remarks in a video posted January 24 on the Nunn.Asia website. 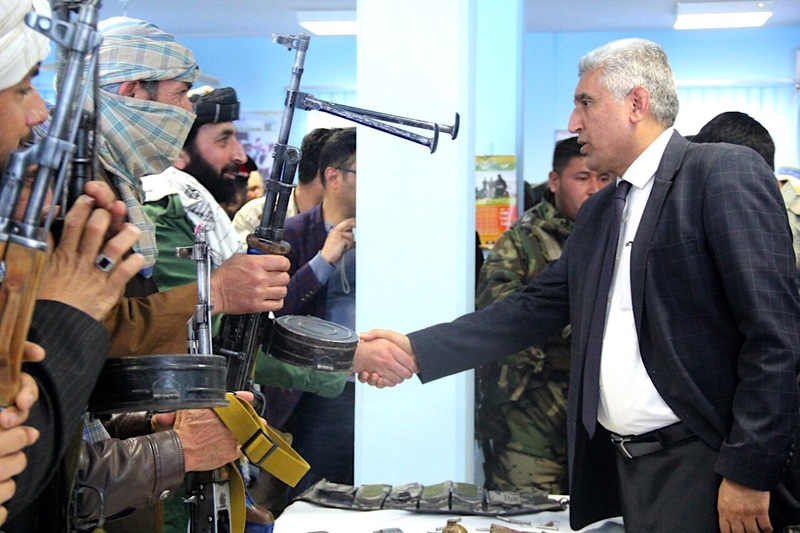 But faced with widespread backlash from ordinary Afghans, who said they would never support the dismantling of Afghan National Defence and Security Forces (ANDSF), Stanekzai attempted to backtrack from his original statement. What he meant, Stanekzai told TOLOnews on February 7, was that the ANA "was created when the foreigners came". "At that time, they [were] mandated to fight the Taliban instead of defending the honour of the nation and the borders," he said. "Since the withdrawal of the foreign troops is concerned and the occupation comes to an end, then their mandate to fight that Taliban will also end," he said. "There won't be any need to fight the Taliban." Stanekzai also said the US military should "leave all military equipment/tools as we're looking forward to have a well-equipped army in the future". The United States, however, has said on numerous occasions that working towards a peace deal between the Afghan government and the Taliban remains the main priority. "I have not been directed to step down our forces in Afghanistan," acting US Secretary of Defence Patrick Shanahan Monday (February 11) told reporters before meeting with President Ashraf Ghani and NATO Resolute Support Mission Commander Gen. Scott Miller in Kabul. "The Afghans have to decide what Afghanistan looks like in the future," he said. "The US has significant -- significant -- investment in ensuring security, but the Afghans decide their future." Stanekzai's initial calls to dissolve the ANA led Afghans in several provinces to protest and condemn his comments as "nonsense". In Qala-e-Naw, Badghis Province, almost 100 religious scholars and residents gathered February 7 to condemn Stanekzai's statement. "We, the people of Afghanistan, will never approve of such nonsense, baseless, arbitrary and unreasonable statements made by Stanekzai, who said the Afghan National Army will be dismantled," Mawlawi Fayzan, a religious scholar in Badghis, told Salaam Times. "The security forces should not be dismantled, and in fact they should be strengthened," he said. "The honour and reputation of the country are dependent on its military might as well as on its national army." Upon realising the sensitivity of the issue -- and his accidental creation of a wave of anti-Taliban sentiment -- Stanekzai denied his original statement, said Abdul Qadar Kamal, a political analyst in Herat Province. "The statement made by Stanekzai was foolish and unreasonable, and I believe that such [rhetoric] can seriously damage the peace efforts," he told Salaam Times. "In my opinion, the Taliban just wanted to assess the Afghan public's point of view on the Afghan National Army, for which they received a strong response," he said. 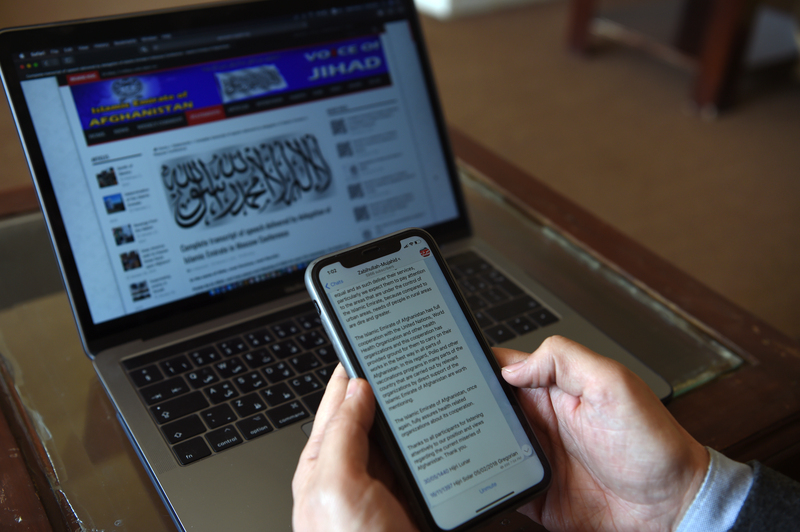 "As a result, the Taliban's representative was eventually forced to take back what he had said chiefly under the weight of public opinion." The fate of the ANA is non-negotiable, said Najmuddin Burhani, a civil society activist in Badghis. "We declare the security forces a red line and a national treasure for all Afghans," he told Salaam Times. "We will never allow anyone to use it as a pawn or dismantle it." 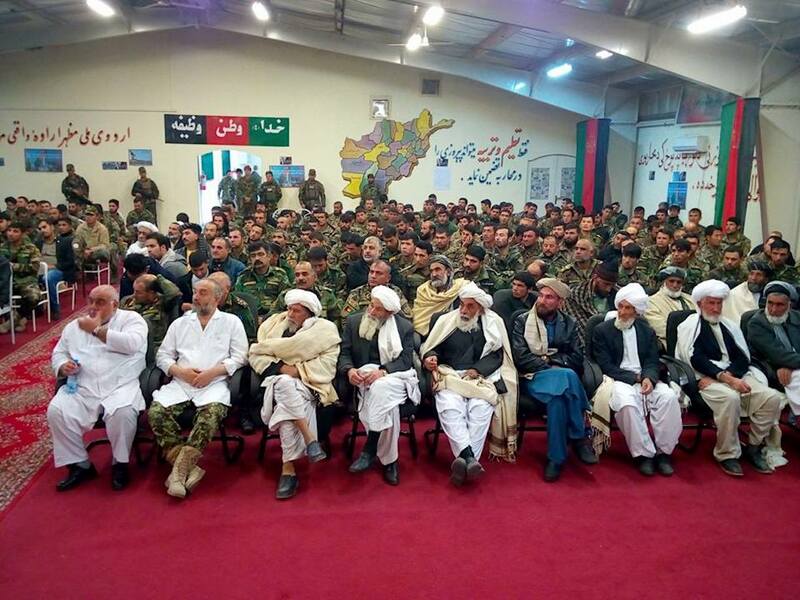 "The people of Afghanistan sacrificed thousands of martyrs in order to build an Afghan National Army that can defend the territorial integrity of Afghanistan," said Mohammad Naser Nazari, a member of the Badghis Provincial Council. "Today, the Afghan nation is prepared to stand with the security forces in any and all situations," he told Salaam Times. "The people of Afghanistan will never accept the statements made by those who have no authority whatsoever to dissolve our national army. "Afghans are prepared to stand by the side of security forces and to defend Afghanistan," he said. "We will always support our security forces," said Mawlawi Ali Mohammad Rahmani, a religious scholar in Badghis Province. "The security forces are prepared to offer their lives to defend their homeland, the government and territorial integrity of their country," he told Salaam Times. "We do not want to damage the dignity of these forces, and hence, their dissolution is not acceptable to us." "The security forces in Badghis Province made many sacrifices," said Mawlawi Fayzan, another religious scholar in Badghis. "They displayed courage, they advanced and they defeated the enemy." "Afghans were extremely distressed, but [the security forces] saved them from their concerns and worries," he told Salaam Times, adding that they reopened the Herat-Badghis Highway in a move that was "commendable and greatly appreciated". Religious scholars, civil society activists and residents of Herat and Farah provinces held demonstrations February 7 to express their support for the ANDSF, calling them a "symbol of Afghanistan's dignity and independence". "How can one run a country without the army and police?" said Mullah Abdul Saboor, a religious scholar in Herat. Defending the nation's martyrs and those who have become disabled while serving in the security forces is Afghans' Islamic duty, he told Salaam Times. "Hence, we wholeheartedly support our security forces." "The security forces are our children, and they have made many sacrifices in recent years," Mullah Hamid Hafif, another religious scholar in Herat, told Salaam Times. "They made these sacrifices for the sake of defending our children and our security, and they even gave their own blood and lives," said Hafif. "We, the religious scholars in Herat, are going to defend our security forces with all our might and capabilities," he said. "Our national army has sacrificed many of its heroes over the past 15 years, and we appreciate them," Maiwand, 31, a resident of Farah city, told Salaam Times. "The ANA has achieved great capabilities and can stop the aggression made by any country." Residents of Helmand Province held a demonstration in reaction to Stanekzai's comments and his involvement in "peace talks" that took place February 5-6 between Afghan opposition politicians and Taliban representatives in Moscow. "Agents of foreign countries go to the Moscow meeting. They want to make their bosses happy," Gen. (ret.) Mohammad Faqir Askar, a tribal elder from Kajaki District, told a crowd in Lashkargah. "Mullah Abbas Stanekzai and his friends destroyed the country and now are planning to sell it to Moscow," he said. "We don't oppose peace talks, but we want peace where our dignity [our national army] is protected." "Iran, Russia and Pakistan don't want Afghanistan to have such a powerful army that helps the international community in the fight against terrorism," Mawlawi Mohammad Yunus Musawi, a religious scholar at the Bibi Zahra Shia mosque in Lashkargah, said at the event. "That's why the Taliban want to dissolve it, and it will never happen." "The United States and the international community put effort into creating this army for us, and destroying it will take our country backward," he said. The Taliban who talk about the dismantlement of Afghan National Army, is actually the mouthpiece of someone else, that is Pakistani ISI. Taliban's integration in our government poses a grave danger to our National Army. Therefore, the Taliban shall never realize their aspirations. Our Army is our hero. Respectfully, Wali Khan Ahmadzai, a student of Literature in Baghlan University, department of Sociology. 'It is our Islamic as well as our Afghan duty to support these forces against terrorists,' one elder said at a recent gathering in Kandahar.